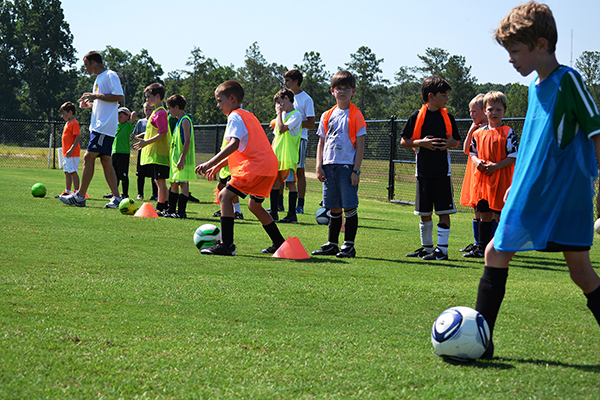 A soccer camp designed to teach boys and girls techniques and tactics of soccer while fostering the development of good sportsmanship. Emphasis is placed on first developing the basic individual and team skills through instruction, drills, contests, and small side games. Additional emphasis is placed on nurturing a love for the game that can lead to a life long enjoyment of soccer.